It’s important to note that this has never been seen in the wild. Too often discussions about cybersecurity whips laymen readers into a frenzy about an onslaught of threats without proper context. 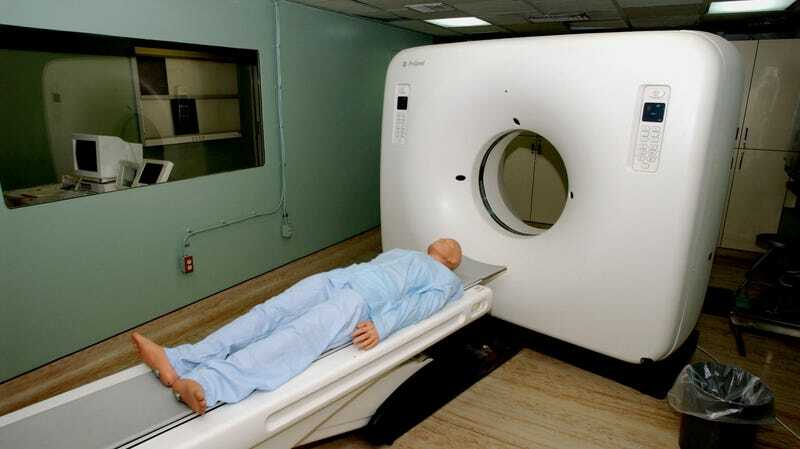 But what if the scan had shown faked cancerous nodules, placed there by malware exploiting vulnerabilities in widely used CT and MRI scanning equipment? Okay, the answer is that Trump would’ve become president, I guess, but you get the idea. In this case, the researchers say there are practical steps that hospitals and medical equipment vendors can take to secure themselves and their patients’ data. Scans should be cryptographically signed to guarantee their accuracy, researcher Yisroel Mirsky told the Washington Post, and hospitals need to be encrypting data to stop intruders on their network from viewing and altering scans. Hospitals, notorious for running old machines and outdated software, have for years been worried about cybersecurity threats. Experts have observed hackers infecting medical devices in hospitals, a threat that can immediately put a patient’s life at risk. This is a type of attack we’ve never seen before and, if the good guys are thinking about it, hospitals need to pay attention before reality hits like a bag of bricks.